Available Daily; Morning, Afternoon and Night: 8:30am - 11:30am or 1:30pm - 4:30pm or 5:30pm - 8:30pm. 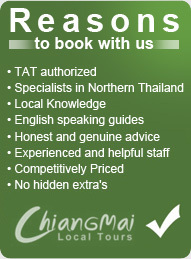 Do you want to know what to see and do while you are in Chiang Mai? 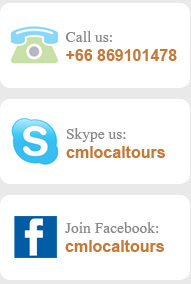 This half day tour was designed to give visitors the lay of the land and prepare you for your stay in the city. Experience the Old City and see the many gates that surround it. 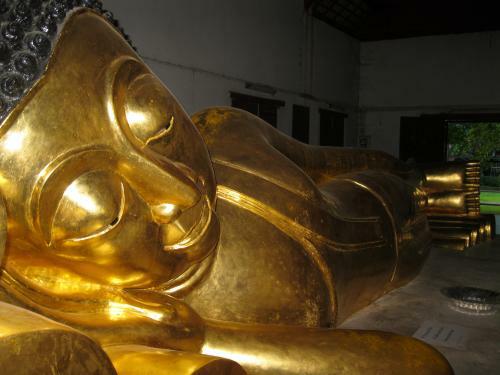 See Wat Chedi Luang, Silver Temple (Wat Srisupan), Warorot Market and more all from the seat of your own Tuk Tuk. Our guide with pick you up from your hotel or guesthouse at 8:30am or 1:30pm or 8:30pm for the start of your tour where you will depart by Tuk Tuk. 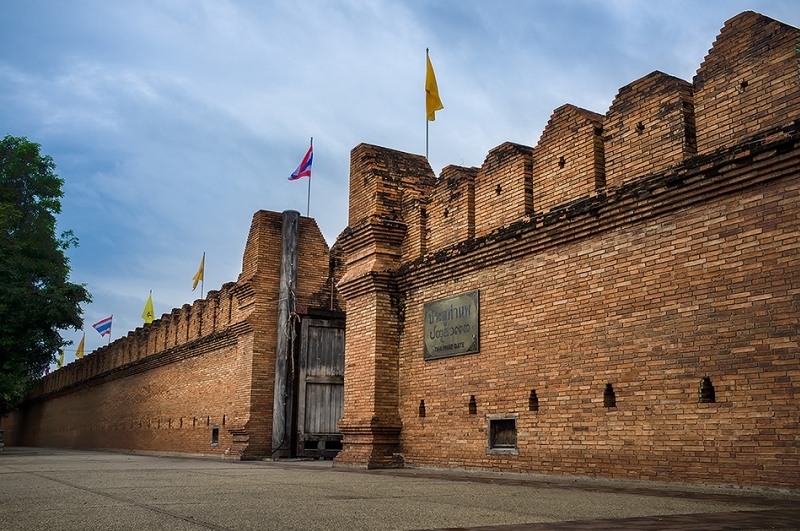 First, you will explore the canal that surrounds the old city and stop at historical gates such as Chiang Mai Gate and the popular Tae Pae Gate to see the remains of the guard walls that used to protect the city from foreign invaders many years ago. 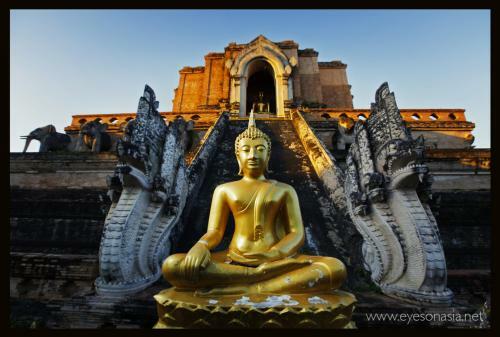 Next you will enter the Old City and make a stop at Wat Chedi Luang. 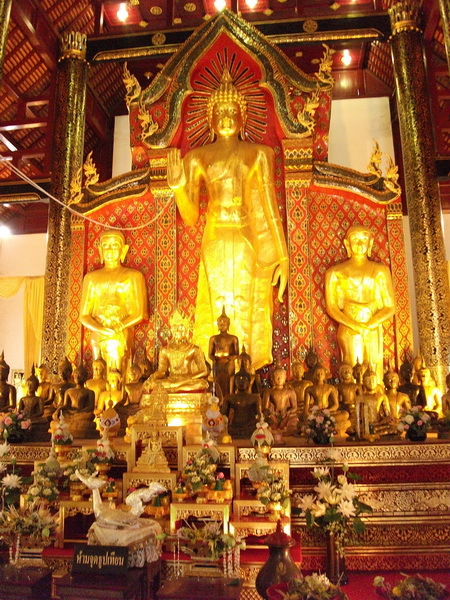 Meaning “Temple of the big stupha” this temple was constructed during the 14th and 15thcenturies and was the home of the famous Emerald Buddha which can now be found in the Grand Palace of Bangkok. 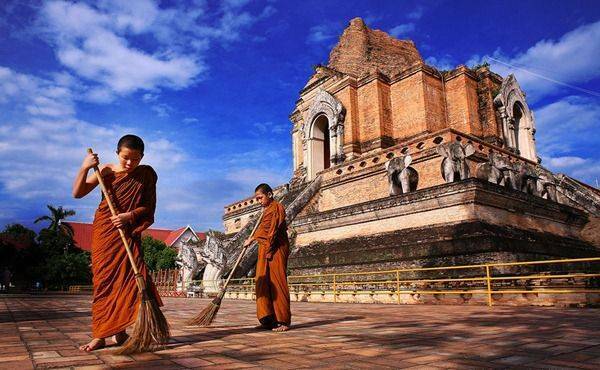 During the year of 1545 an earthquake destroyed the top 30 meters of the temple. Although most of it has been repaired much of the damage around the lower edges of the temple can still be seen today. 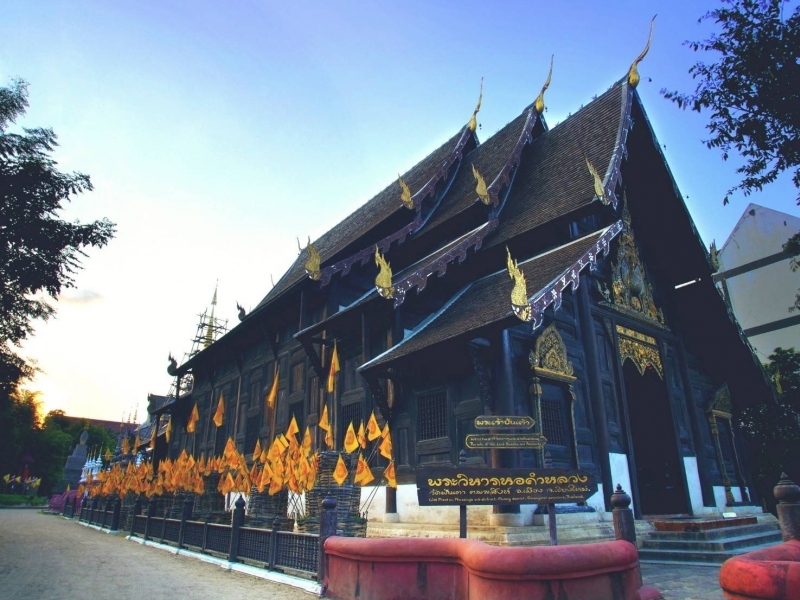 After leaving Wat Chedi Luang you will make a stop at the 3 Kings Monument before visiting the silver temple in Chiang Mai, The temple was first founded in 1501 under King Mengrai and given the name Wat Srisuphan Aram and this temple has renovated in 2004. 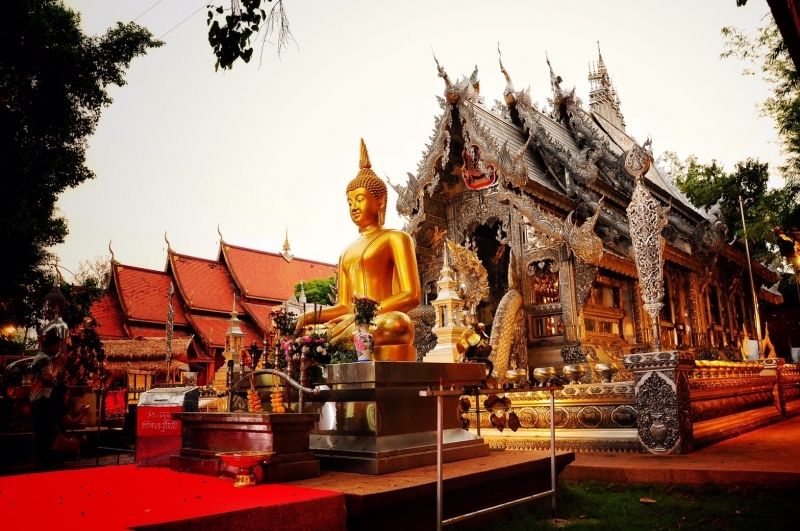 This is most important in the temple is a silver-coloured building which shimmers in the sunlight and the Ubosot is using alloy and zinc-silver. 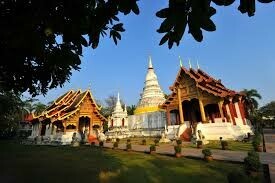 Chiang Mai’s silversmith tradition and workshop. 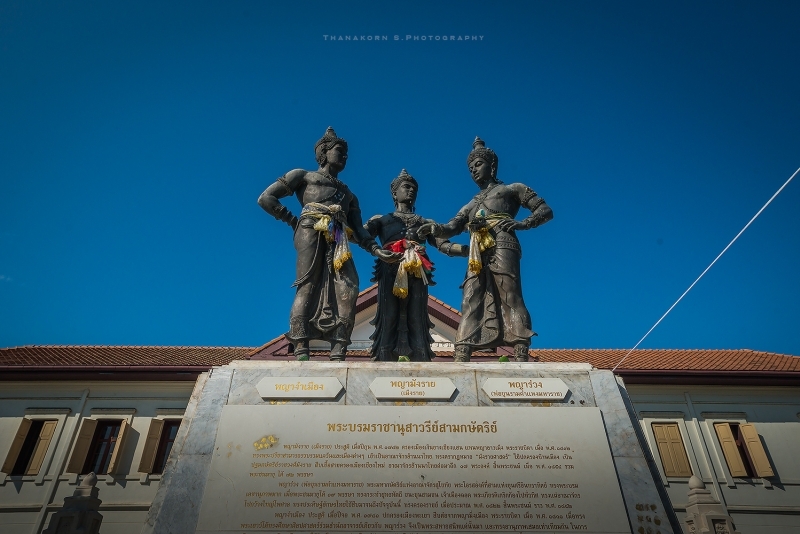 Wat Srisupan is an important centre for handicrafts and helps to preserve the silversmith tradition of this area of Chiang Mai. Techniques are handed down to the new generation of silversmiths at the Ancient Lanna Arts Study Centre (known as Sala Sip Mu Lanna) and visitors to the temple are encouraged to see the artisans at work. 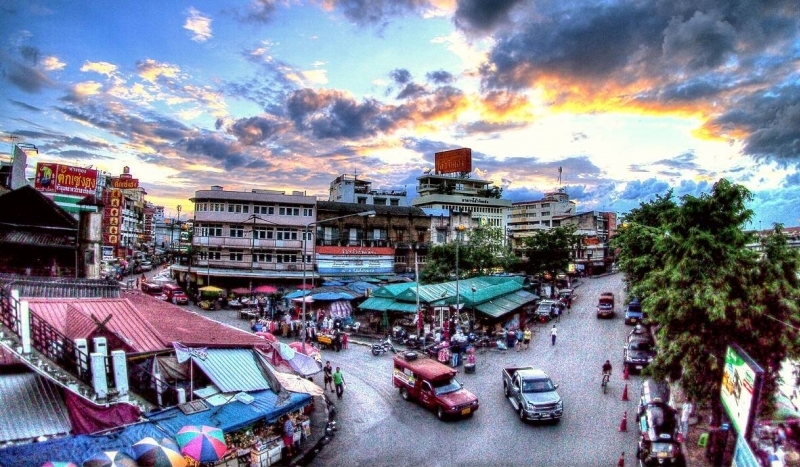 On your way to your final destination, Warorot Market, you will see where Chiang Mai’s Sunday Market and the famous Night Bazaar are located. 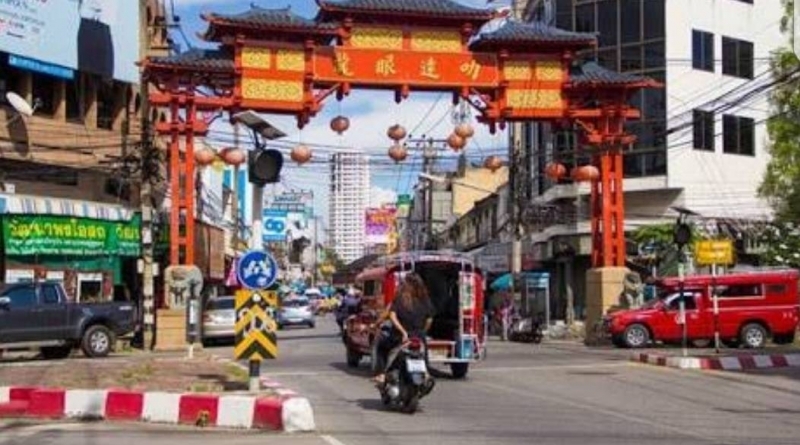 Then explore the vast Warorot Market where many of the cities local residence do their shopping. 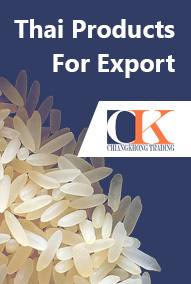 Find items such as fresh/dried fruit and vegetables, souvenirs, fireworks, clothing, fresh seafood, jewelry, watches, beauty supplies, a large flower market and much, much more. 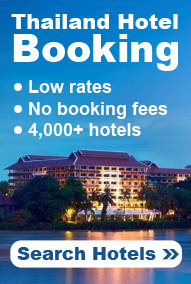 The prices here are the lowest in Chiang Mai. When you are finished your Tuk Tuk will return you to your hotel or guesthouse at approximately 11:30am or 4:30pm depending which tour you decided to take.